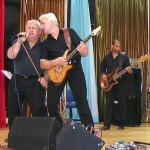 It all started in 1995 when Tony Eaton and Paul Cooper were asked to sing at a school barbeque. Having both sung in bands previously, they called upon past repertoires and one song turned into an hour-long set. This was well received and it was agreed that it would be a shame to leave it there. The two of them called upon other fathers who had similar misspent youths. 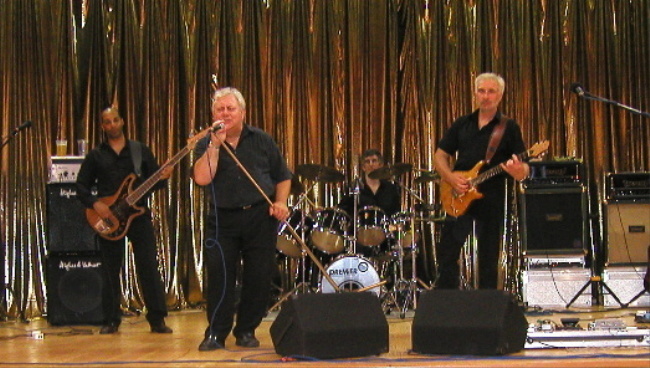 During the early years the band went through many guises and personnel changes. They were known variously as The Dadbeats, Banned for the Night and some even more unflattering names when they played the occasional (and very dodgy) gig at pubs and friends’ parties. Things started to take shape in 1997 when Tony’s son, also Paul, left university and joined as the bass player and they settled on the name Jurassic Rock. 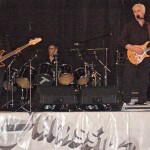 However, the Band didn’t finally gel until two years later when Bob Settle became the drummer. 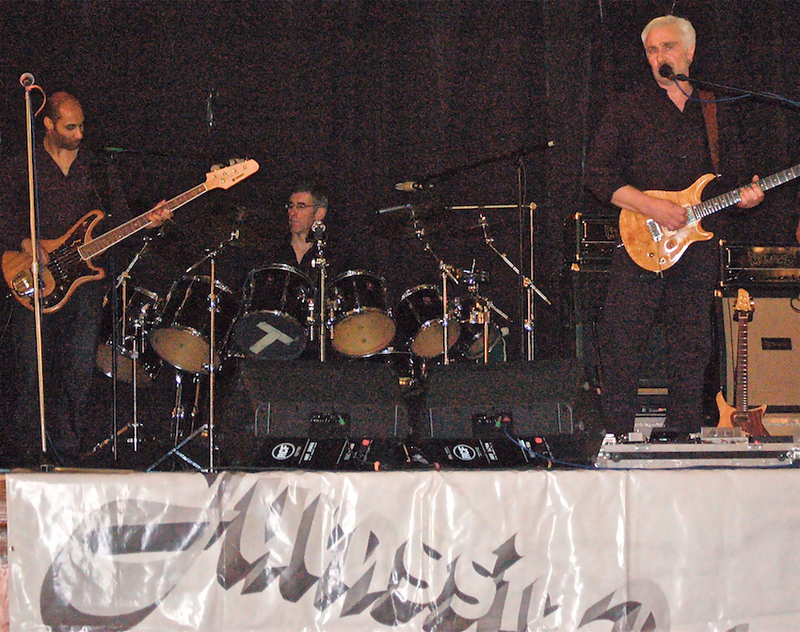 Paul Cooper left Jurassic Rock in 2009 and, sadly, died of a heart attack in 2014. 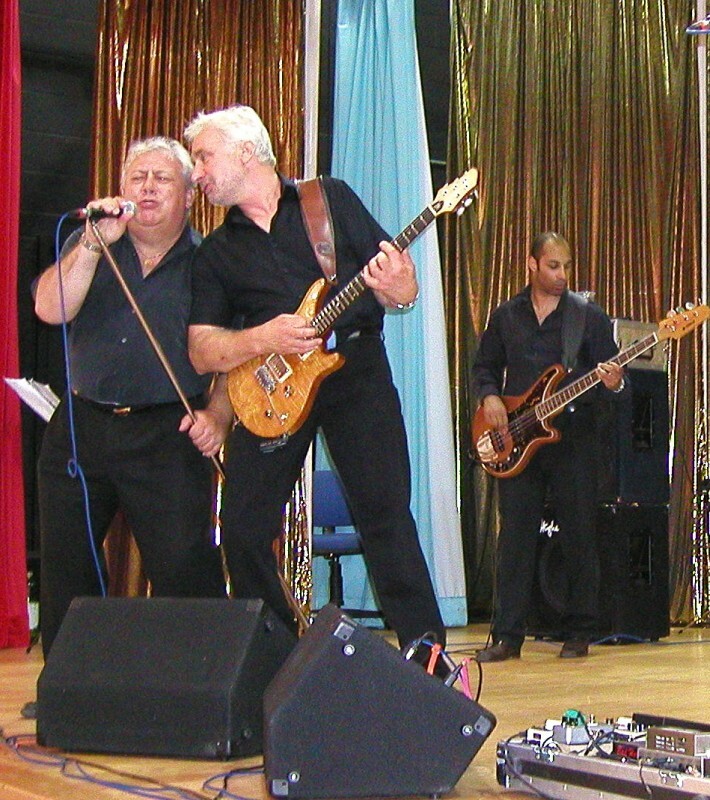 The band continued as a power trio after Paul’s departure with Tony, who had sung about 30% of the songs during Paul Cooper’s tenure, singing lead. This was not a difficult transition, as Paul had not been able to attend all the rehearsals or gigs prior to his departure and so Tony had been eased into the role. To avoid being sued, the Band draws heavily on numbers composed by people now dead and the repertoire is extensive, but there is inevitably a strong emphasis on 50’S and 60’s music. 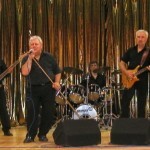 Jurassic Rock has a wide repertoire ranging from raucous rock ‘n’ roll to lilting ballads, with everything in between and so is able to cater for a similarly wide range of functions.